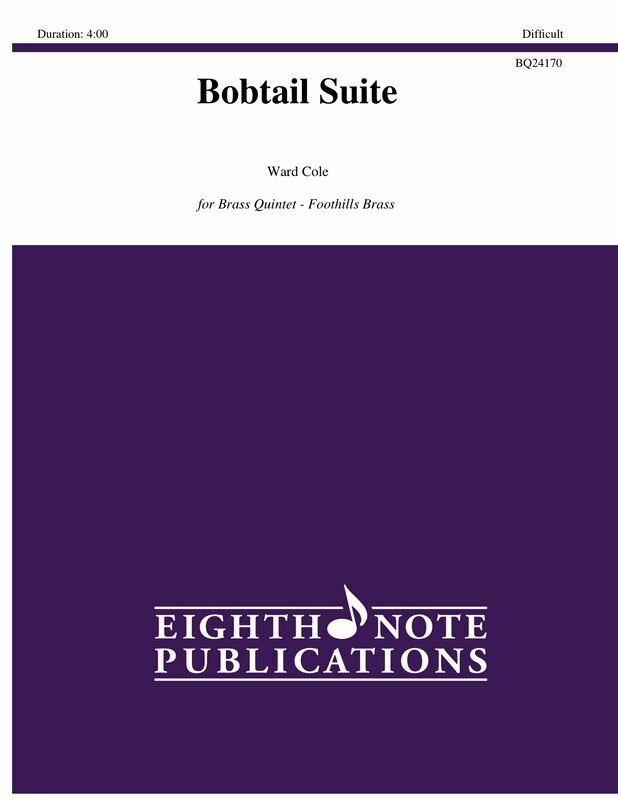 Noticing a lack of original Canadian jazz for brass quintet, Ward Cole wrote this piece for Foothills Brass in 1985. He based his Bobtail Suite on a couple of his beautiful English Sheepdogs: Pan and Cyndi. Pan was tragically killed which led Ward to write his mournful Lament. Cyndi liked to strut around like a show dog. He completed the suite by writing Jasper & Yogi, a musical description of a couple of rowdy and comical English Sheepdogs owned by a friend.